Wake up refreshed! 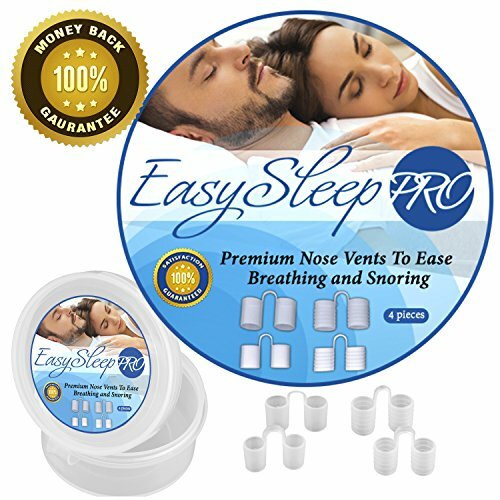 Keep nasal passages open while you sleep and enjoy quiet, peaceful nights. Nearly invisible inserts are the simplest resolution for prevention of nighttime breathing problems. Find the perfect fit with 4 different sized pieces. Aids breathing during sleep. Reduces dry mouth, sore throat, morning headache. Forget all those expensive treatments, clumsy masks and ugly jaw strap products; with one simple item your search for a resolution is over! 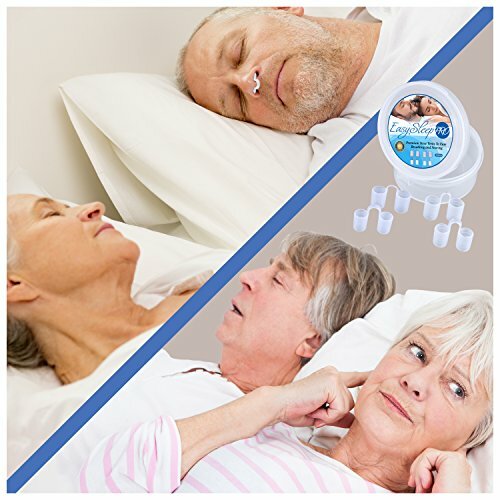 Nasal inserts guard against breathing blockage- no more sleeping alone on the living room sofa! Four sizes ensure comfortable, secure fit. Easy to clean and re-use, store in free travel case. Unique cone clip made from safe, medical grade silicone. Best relief from noisy nights! Plugs are nearly invisible, so comfortable that you and your family won't even notice. Simple solution better than strips, treatments, headgear or appliances. 100% Guaranteed!